Pre & Post Pregnancy Programs – You’re In For a Treat! You know you need to be strong and healthy to feel great (and be great) for your new baby. We specialize in working with women through all stages of pregnancy and after delivery. We are here to help make your life a little easier! We offer you Pregnancy Massage, Pre Natal Fitness Programs, Baby Massage & Ergonomic Programs for New Moms & Dads so you will be strong and healthy through your pregnancy and after. 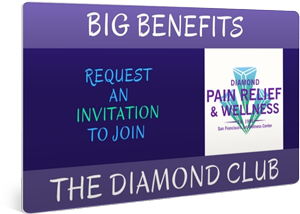 Below is a brief description of Diamond Pain Relief & Wellness Center’s Pregnancy services — all designed to help you feel and look great during your pregnancy and after your new baby arrives. 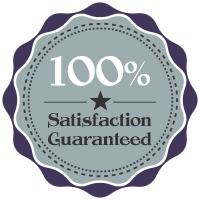 Of course we would be happy to discuss any of these services with you in more detail, to let you know how they may be of benefit for you. To assure a safe, healthy pregnancy, if necessary we may want to discuss your therapy with your doctor. As a woman’s body changes, so does her need for a different type of massage. Your therapist can focus on getting in deep to break up your tight knots, reduce the aching legs and feet cramps, and re-align your sore back through pregnancy massage. (Also called prenatal massage). Or the focus of the session may be to increase your relaxation so you can get a good night’s sleep. When you are under stress your body produces stress hormones which travel directly through your blood to your baby. We will aid in reducing your stress level, thereby reducing the amount of these hormones in your blood stream. Pregnancy massage will also increase the oxygen to you and your baby through the increased circulation and by focusing on an awareness to your breathing. Would you like us to design an exercise or fitness program to carry you through your pregnancy? Do you need help to set up a routine to strengthen your back, legs and arms to provide for an easier labor and delivery? If you are in good shape and strong you’ll be well-prepared for lifting and carrying baby once you’ve given birth! We also can help you with a fitness program for after your baby’s birth to get you back in shape, flatten your belly, keep you strong and fit and feeling your best for the challenging journey of being a Mommy! It is also important to note – the more time you spend exercising with your baby the better it is for both of you. Your time together is important to bonding with each other and also to instill a love and appreciation for the need to include exercise and movement into your life. When your child is older, it will be natural for him or her to be more active because that is what she/he will subconsciously remember! Of course, this is the fun part! If you are looking for a unique place to register for this happy occasion, think of Diamond Wellness! We thank you for trusting us with the health and wellness of your entire family! Please call us to discuss how we may be of service! P.S. Once your baby is born, schedule a “Ergo – Mommix” sessions for new parent(s). P.P.S. After your baby is born give your baby a wonderful BABY MASSAGE!